Champagne brand Veuve Clicquot has bolstered its partnership with transport app Gett by offering an on-demand party packs service for the festive period. 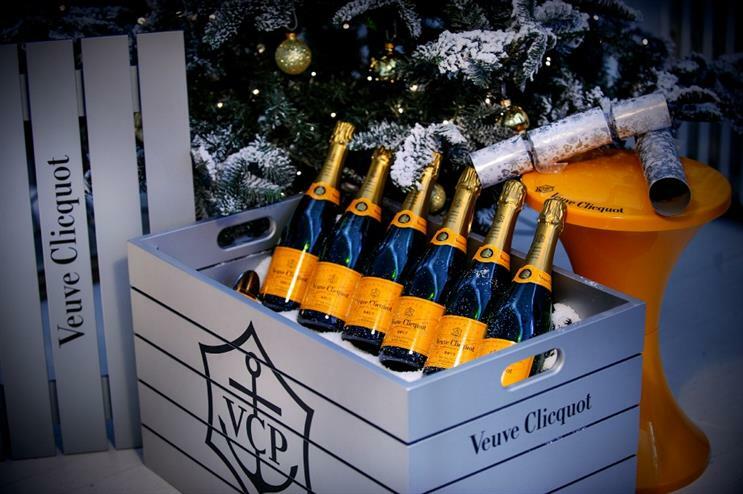 Gett Clicquot Party Packs include six bottles of Veuve Clicquot Yellow Label, an ice bucket, two bottle stoppers, balloons and four premium Christmas crackers. Available from 10-23 December, the hampers are scattered with snowflake confetti. London-based Gett users will be able to request the delivery straight to their doors through the app from 2pm-9pm. The packs will arrive in an iconic London black cab. The brands first announced a partnership in July this year, and also teamed up to offer Londoners a Cadbury chocolate delivery service during the tube strikes. Alongside Gett Clicquot Party Packs, Veuve Clicquot and Gett are also launching a permanent Gett Wine service, through which consumers can request a bottle of red or white wine from Moët Hennessey’s stable of brands. Supplied by Amathus Drinks, Gett Wine will be delivered by London’s 'knowledge boys' - trainee cab drivers on motorbikes. Jo Thornton, managing director of Moët Hennessy UK, said: "Moët Hennessy is very excited to continue our partnership with Gett around Gett Clicquot Party Packs and Gett Wine. These innovative initiatives continue to lead the path to deliver luxury convenience, on-demand, to discerning Londoners." Remo Gerber, Gett’s UK chief executive, added: "We are delighted to offer this service to Londoners during the holiday season. We’ve been thrilled to see our revolutionary ‘Gett Clicquot’ service enjoyed as part of so many spontaneous celebrations since its launch in the summer. "With the considerable customer demand, we are happy to be bringing even more range to our product and service offerings, especially over the festive period."